The 477 single-head series transmitter and receiver let users extend computer video, keyboard and mouse signals up to 10km over a secure fiber optic connection. They support DVI-D resolutions up to 1920×1200 @ 60 Hz. 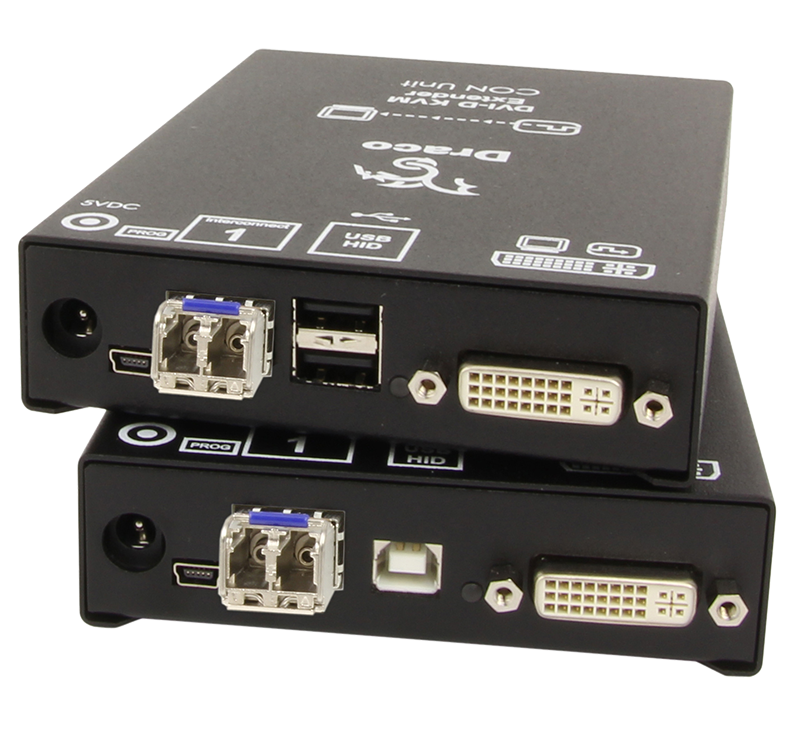 The 477 dual-head is double-height model with the same features, but allows up to two computers connections per unit. Each device includes a mini-USB port for setup and configuration. The Federal Office for Information Security (Bundesamt fur Sicherheit in der Informationstechnik abbreviated as BSI) is the German government agency in charge of managing computer and communication security for the German government. It’s areas of expertise and responsibility include the security of computer applications, critical infrastructure protection, Internet security, cryptography, counter eavesdropping, certification of security products and the accreditation of security test laboratories. The Federal Office for Information Security is located in Bonn and has over 400 employees. Support for DVI-D and USB-HID. Optional dual-head for multi-monitor workstations. Virtually lossless image quality with IHSE’s compression technology. Transmit DVI plus USB up to 32,800 feet (10 kilometers) over a single fiber optic cable. USB-HID for keyboard and mouse. Connect units using standard COTS LC connections. Simple keyboard commands (hotkeys) for transmission of remotely connected monitor’s DDC.